Professional Renovation, New Kitchen with Granite Counters, SELLER WILL PAY $2,500 BUYERS CLOSING COST. 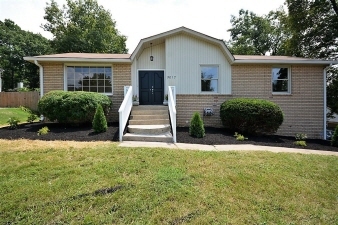 Tile Back Splash, New Stainless Steel, Stove, Dishwasher, Microwave Oven, Beautiful Hardwood Flooring throughout, Full Basement, 2 Car attached Garage, 1 Car Detached all new Garage Doors! Basement could be Studio, Nice Yard, Covered Deck !